Are you attending the UK’s leading marketing technology event in March? If so, you need to head to stand 312 to find out more about our latest digital tools and immersive tech such as interactive displays, holographic and VR/AR and mixed reality displays solutions. 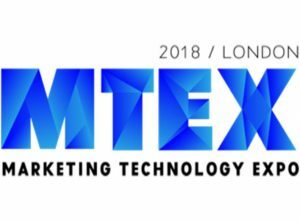 Held on the 21st and 22nd March at the Excel in London, MTEX – Marketing Technology Expo, is set to be this year’s must attend event for marketing professionals. With over 700 exhibitors, 500 seminars and 200 masterclasses, the event provides a key opportunity to see some of the newest technologies and services that are changing the landscape of the marketing world. If you would like to see our innovative solutions first hand we will be showcasing our range of holograms as well as our impressive VR and interactive displays, most importantly demonstrating how these can be implemented and utilised by businesses to create a unique experience for both their customers and staff. Our Dreamoc hologram display units will include our revolutionary HD3, a desktop solution that is used by some of the largest brands in the world, as well as POP3, a one-sided viewing unit that is ideal for a retail environment and XL3, a slim and sophisticatedly designed medium sized display unit. If you would like to meet up at the event with one of our experts, please contact Jessica Williams at jwilliams@animmersion.co.uk.